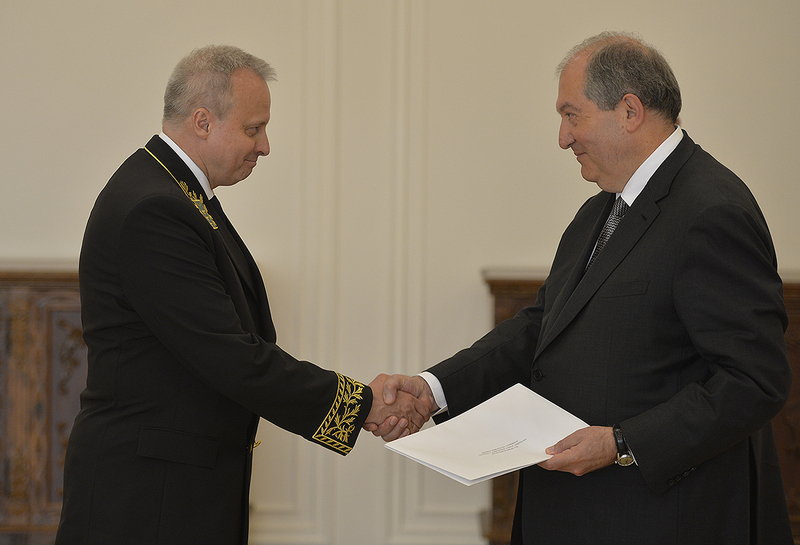 Today, the newly appointed Ambassador Extraordinary and Plenipotentiary of the Russian Federation Sergei Kopirkin presented his credentials to President Armen Sarkissian. 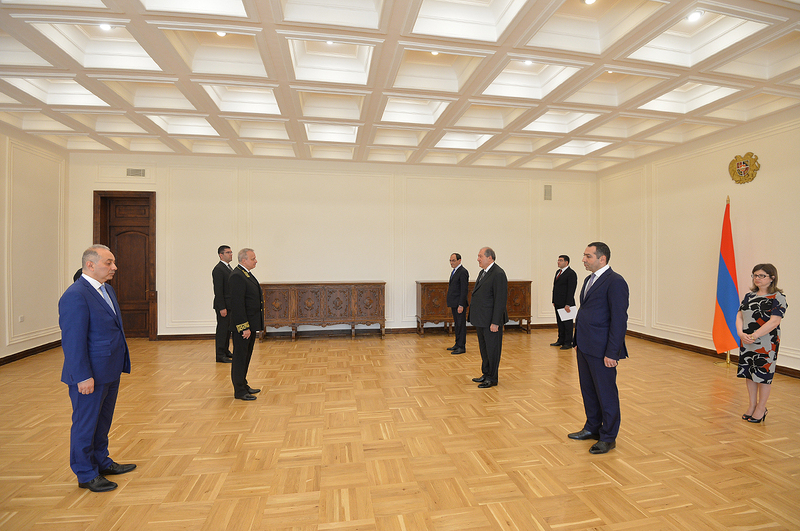 The President of Armenia congratulated the newly appointed Ambassador and wished him success in his responsible mission. 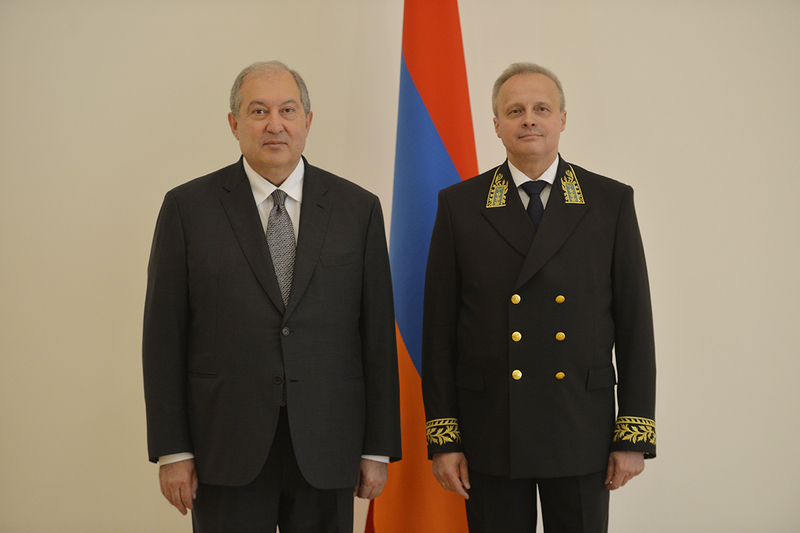 President Sarkissian expressed confidence that Ambassador Kopirkin during his tenure will do his best to further strengthen and develop the Armenian-Russian cooperation based on the historically formed friendship. 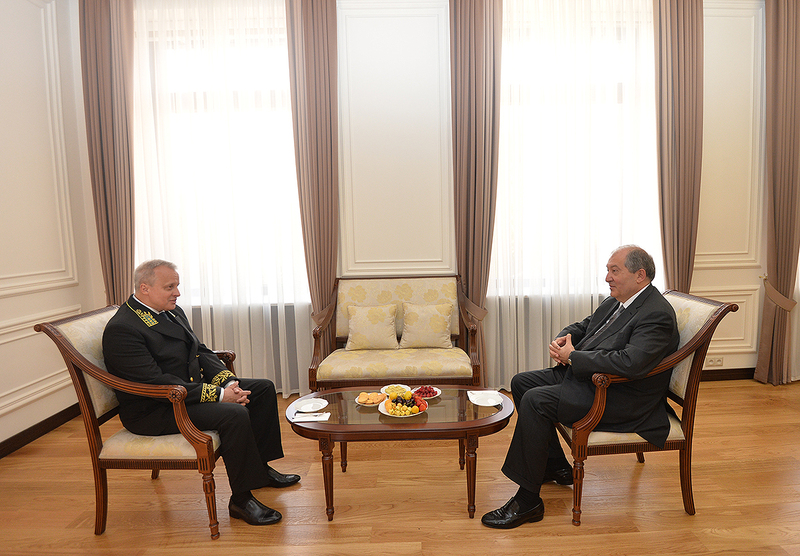 President Sarkissian expressed readiness to assist the Ambassador in all his undertakings which will be aimed at the deepening of the bilateral relations. 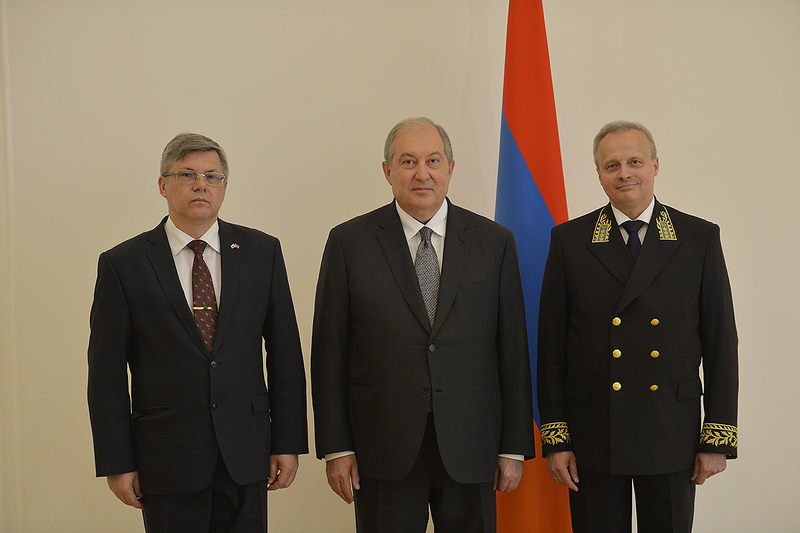 Ambassador Kopirkin conveyed to the President of Armenia warm greetings of the President of the Russian Federation Vladimir Putin. He assured that he would do his best to further deepen and strengthen strategic partnership of the two countries. At the meeting, which took place after the ceremony of presenting credentials, the parties underscored that relations of the two strategic partners develop by year and encompass new areas.